Kate and I recently hosted the VEGAN WHOLEFOOD NUTRITION workshop where we shared this delicious recipe. 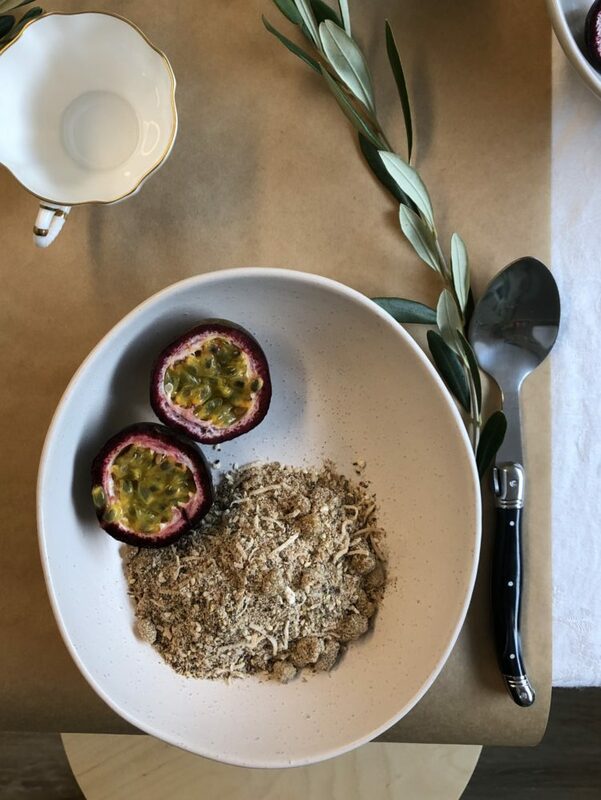 One thing we both often hear in the clinic, is that there is no time to create something healthy for breakfast – cue easy and nutritious recipes that take a second to make and even can even do one better … get packed into a jar and made at work to enjoy during that morning meeting. Breakfasts should start your body for the day ahead. We need good fats, protein, fibre and a variety of phytonutrients, vitamins and minerals to nourish, nurture and satisfy for the many MANY tasks we try and pump into the day. This recipe hits all those boxes, and when you add in some seasonal fruit it helps go even further. In a large mixing bowl, simply mix together all the ingredients. Place porridge mix into an airtight glass jar and store in the fridge to use when ready. To serve: add 1/3 cup of porridge mixture into a bowl. Pour over boiling water from the kettle, starting slow until you have the desired consistency. To start cover 1/4 of the mixture and go from there. Enjoy as is, or serve with coconut yoghurt and seasonal fruit. Recipe created by Kate Levins (Nourshing Club). Alyce Cimino is a degree qualified Naturopath and owner of AHARA HEALTH naturopathic + wholefood collective. Alyce has a passion for wholefood nutrition and supporting the individual needs of her clients. Follow AHARA HEALTH and Alyce on social media @ahara_health . Pop your email in here to recieve the latest AHARA HEALTH newsletter, tantasling recipes, inspring health journal and upcoming event info.